Geospatial data, particularly imagery, are crucial during disaster response. The USGS has a wonderful web-based application called the Hazard Data Distribution System (HDDS) that provides the capability to download incident related imagery. 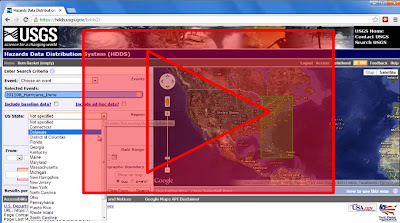 This video provides a short overview of HDDS, demonstrating how to you can use HDDS to locate and download imagery for your area of interest. Please note that if you are involved in disaster response you will need to request permissions from the USGS to obtain access to the licensed imagery. For more info on HDDS please read the help pages. Host a LDCM / Landsat 8 Launch Party!